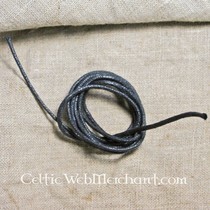 This type of fibula was very popular around the 10th century among the Vikings who settled on i.a. the British Isles. Both large and small originals have been excavated. The fibula is nowadays exhibited in the Dublin Museum, British Museum, National Museum of Scotland and in the Kilmartin Museum. The silver brooch is completely handmade. It has a diameter of 5,5 cm. It is made of Sterling silver.